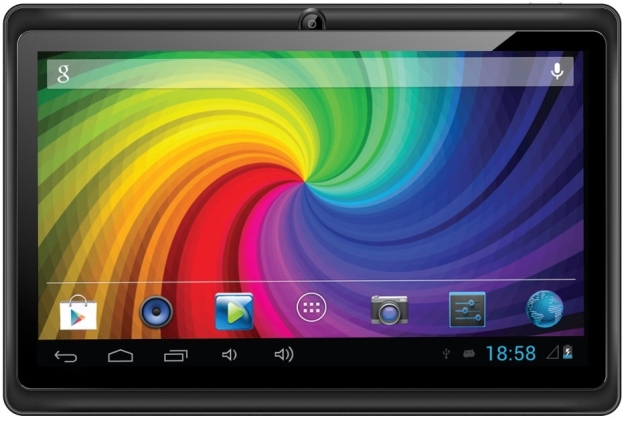 Micromax has launched its new low cost Android tablet in Funbook series called Funbook P280 tablet in India. It is an affordable and budget tablet for Indians within the price range of Rs.5000. The tablet comes with a 7-inch capacitive touch screen display with the resolution of 800x480 pixels. It runs on Android 4.2 Jelly Bean operating system and powered by 1 GHz single core processor with 512 MB RAM. Micromax Funbook P280 has 4 GB of internal memory and can be extended up to 32 GB using microSD card. There is only camera located in front side that features 0.3 MP VGA for video calls. The device supports the connectivity of 3G via USB dongle and Wi-Fi. It packed with 2400 mAh battery that provides 250 hours standby time. It comes with some pre-loaded apps including M!Live, Opera Mini, Kingsoft Office and more apps. Micromax Funbook P280 comes with a special offer of detachable keyboard and a premium leather case for protection. It is priced at Rs.4650 and available on online stores and retail stores across the country. It will surely compete with Aakash tablets of Datawind company in India because Micromax giving so many features within this price range.